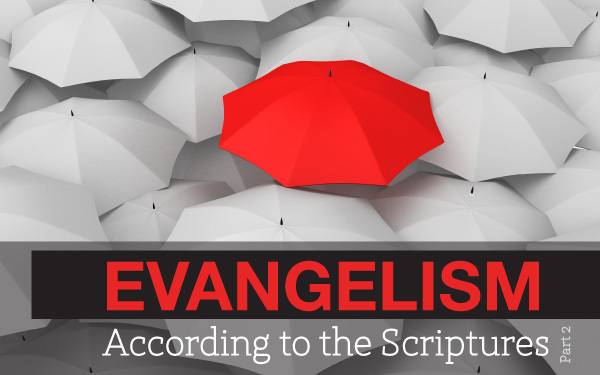 In the previous article we looked at evangelism from a Biblical perspective. In this article we look at the approach to evangelism which we have inherited in the Canadian Reformed tradition. We are looking for answers to questions such as: How important has evangelism been in the history of our churches? What methods and approaches have been used? Has evangelism been viewed as the task of office-bearers or rather the calling of ordinary church members? Has evangelism been a ministry that was discussed at major assemblies or was it left to the initiative of the local churches? The New Testament reveals to us that both ‘ordinary believers’ and ‘office-bearers’ participated in the ministry of evangelism. In Acts 11 we read that Greek speaking Christians from Cyprus and Cyrene went to the city of Antioch “and began to speak to Greeks also, telling them the good news about the Lord Jesus” (vs. 20). Here we have an example of ordinary believers evangelizing others. The Lord blessed their efforts. At the same time we note that Barnabas and Saul soon became involved in the work, teaching the gospel in Antioch for a whole year (vs. 26). It is a beautiful example of ordinary believers and office-bearers working together in the ministry of the spreading of the gospel. In the early Christian church the same approach was used. Ordinary believers would use their social networks, live a Christian life among unbelievers, use opportunities to speak about the gospel and take friends and relatives to church. Once people started coming to church and showed genuine interest, they would enter a program of instruction aimed at bringing them to faith. The church father Augustine wrote an evangelism course entitled ‘On the Instruction of Newcomers’ (Latin title: De Catechizandis Rudibus). From this book and other sources we know that newcomers to the faith went through an initiation process that consisted of three stages. First, they were consideredinquirers. If their interest was serious they became catechumens and received thorough instruction into the Christian faith over a considerable period of time. This instruction was given by office-bearers (elders, deacons, bishops). Finally, if it became clear that they had come to faith they became competentes – which meant that they were ready to be baptized. Throughout this process newcomers were expected to attend church services. It is interesting to read Augustine’s sermons and to note that he often had a word of application or exhortation for the catechumens who were present among the congregation. One of the lessons we learn from the early Christian church is that the initiation of newcomers was a congregational ministry. Both ordinary members and office-bearers were involved in the process. Another lesson we learn is that the early church was not afraid to take newcomers through a program of thorough instruction. During the Middle Ages the Christian church lost much of its strength. The Reformation of the 16th century was, among other things, an attempt to re-evangelize Western Europe. By that time most people in Western Europe were baptized but it did not mean much. Many people were ‘baptized pagans’ – they had been baptized in the Roman Catholic Church but they lived like pagans. The impression we get from these documents is that the early Reformed church followed the same approach we observed in the early Christian church: Church members take friends and relatives to church; office-bearers instruct newcomers in the Christian faith, and elders and ministers are expected to speak to the unchurched as well, appealing to them to be reconciled to God. The ministry of evangelism has gone through good times and bad times. When the churches were in decline evangelism was also in decline. At other times, when there was reformation, evangelism activity would also be reformed. A beautiful example of evangelistic zeal emerges from the history of the Reformed churches of the Secession of the 19th century. The Secession churches saw an urgent need for the re-evangelization of the Dutch nation. The matter was discussed in local consistories, at classis level, and even at regional and national synods. Sunday Schools were started, evangelistic pamphlets were distributed, evangelists were appointed and ministers took an active role in evangelism. A famous name in this regard is Dr. Lucas Lindeboom. Before he became a professor at the theological seminary in Kampen he served two congregations. In both cases he was very active in evangelism. On a Saturday afternoon he would be found in the downtown area of the city, handing out Bibles and pamphlets and speaking to the townspeople about the gospel of salvation. Lindeboom also took a leading role in some of the evangelism organizations which were formed in those years. The picture which emerges from 19th century Reformed churches in Holland is similar to what we observed in the early Christian church: Evangelism was a priority and it was considered to be a congregational ministry in which both office-bearers and ordinary members participated. During the 20th century the Reformed Churches in the Netherlands lost much of their evangelistic zeal. The explanation for that development is complex but one reason was that the ministry of evangelism became a victim of the theological distinction between church as organism and church as institute. The question was asked: Is evangelism the mandate of the ordinary believers (church-as-organism) or is it the mandate of the office-bearers (church-as-institute)? Some defended the view that the proclamation of the gospel is an ‘official’ duty and that therefore ministers should take responsibility for evangelism. Others defended the view that ministers should work strictly within the church and that ordinary believers should do the evangelizing. It was a discussion without a clear solution because it posed a wrong dilemma. In the recent history of the Canadian Reformed Churches Rev. Gijsbertus VanDooren has done much to demolish wrong dilemmas with respect to evangelism. The title of his booklet on evangelism is eloquent: Get Out! & Get Rid of Dilemmas. Rev. VanDooren’s view was that evangelism is a congregational ministry and that both office-bearers and church members have a role to play. Building on that principle he suggested that the church members should act as front soldiers and the office-bearers as instructors. In other words, church members should evangelize outsiders and office-bearers should give instruction on how to do it. Rev. VanDooren’s efforts to promote evangelism among the Canadian Reformed Churches must be appreciated. His emphasis on the responsibility of ‘ordinary believers’ in evangelism was needed at the time. I am less enthusiastic, however, about his use of the term ‘instructor’ to describe the role of the office-bearers. In VanDooren’s view office-bearers are not to be actively involved in evangelistic activity – at least, not “as office-bearers”. A minister might talk to his unbelieving neighbour during his ‘free time’ but then he would do so as a believer, not as a minister. A minister may instruct church members on how to do neighbourhood Bible study groups but he should not conduct such a group himself – after all, he is only an instructor. I believe that in this approach ministers and elders are too far removed from the practice of evangelism. If we always keep our office-bearers away from the action of evangelism, we should not be surprised that the ordinary members (the ‘front-soldiers’) lose courage and direction. It is interesting to note that the Synod of Cloverdale (1984) adopted a revised version of the Church Order in which the mandate of the elders was narrowed down to focus solely on work within the congregation. The phrase in the original version that elders should “exhort others with respect to the Christian faith” was deleted from the mandate of elders. In my opinion this illustrates that the Canadian Reformed Churches had become more inward looking than the churches of the Reformation and the Secession. Time has moved on and we need to ask: Has the ‘instructors & front-soldiers’ model worked for the Canadian Reformed Churches? I do not believe it has. I am not even sure that the CanRC have really tried to implement it. I do not really see our ministers giving instructing to church members on good evangelism methods, and then the members going out to practice it. In a way this is understandable. How could ministers give instruction on how to evangelize if they do not have experience in doing it themselves? The more common approach is that a CanRC consistory appoints an Evangelism Committee (EC). This committee is then mandated to come up with ideas on how to do evangelism. Sometimes even more is expected. I have seen an example of a mandate of a local EC which stipulates that the committee is to “stimulate, equip, and organize the congregation towards evangelism activities.” Note the wording! While VanDooren suggested that office-bearers should do the equipping, now we are expecting the members of the EC to do it. That is a tall order. The congregation generally does not take anything seriously unless office-bearers play a leading role. We are expecting too much from our ECs! What is the solution? In my view the term ‘instructor’ for the role of the ministers and elders should be dropped. It creates too much distance between the office-bearers and the practice of evangelism. We should also take another look at the practice of farming out the evangelistic ministry to an Evangelism Committee. The office-bearers should be more actively involved. Instead of sidelining our ministers and elders as ‘instructors’ we should rather use them as ‘player-coaches’. The minister should, as it were, put on his skates, get his stick on the ice and take part in the action. In other words, the minister should be visibly active in evangelism – as much as time constraints allow. By saying this, I am not suggesting that the responsibility for evangelism should be thrown back entirely into the lap of the office-bearers. Evangelism is acongregational ministry, as we have seen. Both office-bearers and ordinary members should be involved in it. I hope to say more on the practice of evangelism in the next article.